Do you love the Taco Bell Mexican Pizza? It is tasty Mexican treat that you are sure to love. They are simple to make and so tasty. I bet you have tried this amazing Taco Bell Menu item at this fast food restaurant we all love. I think this is one of the most creative entrees they sell. If you haven’t tried this before, you have been missing out on what I think is one of the better menu items at Taco Bell. ou can modify the recipe if you would like to. Here you might want to add some additional taco sauce, or some chopped onions, or pile this Mexican pizza with fresh lettuce. This Mexican Pizza is an excellent take on the traditional pizza. 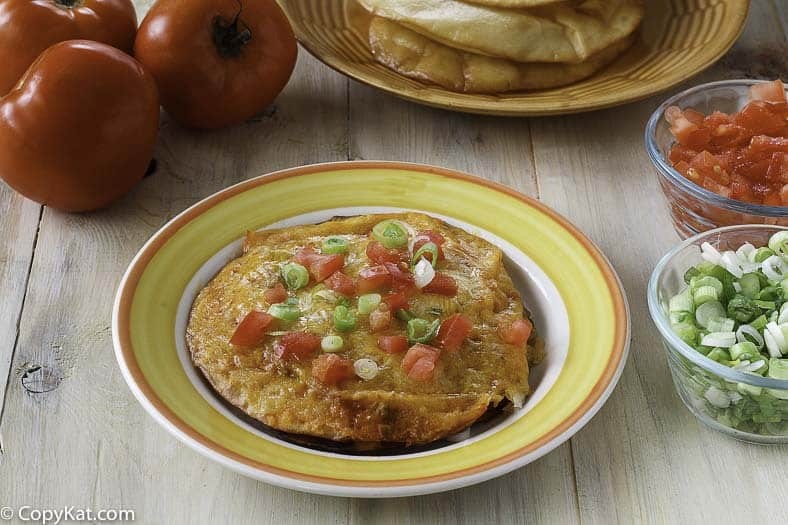 Flour tortillas are fried to take the place of your everyday pizza shells. This pizza is filled with the Taco Bell seasoned beef, and you can also find the Taco Bell sauce on this famous menu item from the Taco Bell. 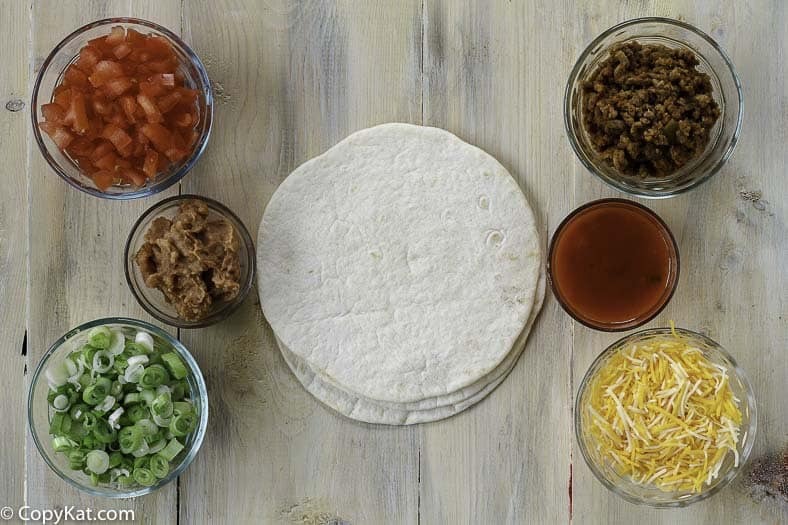 If you enjoy this Taco Bell Menu Item, you may enjoy these Taco Bell copycat recipes. Everyone loves the Taco Bell Mexican Pizza, you can make it at home. Pop into Microwave and heat until cheeses are melted. I guess it depends on where you live and your Taco Bell, but here in Florida the Mexican pizza’s are made from flour. Gonna try this recipe tonight, just cut amount for smaller family. The Taco bell I frequent does use corn tortillas…….sorry maybe different part of the country. Thank you.!! LOVE this recipe! Do you have a Pin on Pinterest for it? I save all of my favorite recipes so I can find them easily. You can create your own pin for it. They have an option to have the Chrome extension where there’s a little Pinterest logo by your search bar. Then when you find something you want to pin, you can click on it to pin the item for you. How do you cook the tortilla shells? You fry them in a pan with some oil. Stephanie…this is one of just a few items I love at Taco Bell. I just scanned my cupboards and found everything I need to make these for hubby and me tonight. THANK YOU!!!! I use the Azteca Taco Salad shells, just leave them flat instead of putting on the salad form! And I add black,olives and jalapenos! So yummy!!!! Cant wait to try the Pizza. YUM! I enjoy your BLOG, so-ooo very much. Keep up the good work. has anyone tried air frying the tortilla??? if so how? You will have to spray with some oil, or it is going to dry out and become crisp, not brown and crisp. OMG delicious! mex pizza is the only item i eat at taco bell. 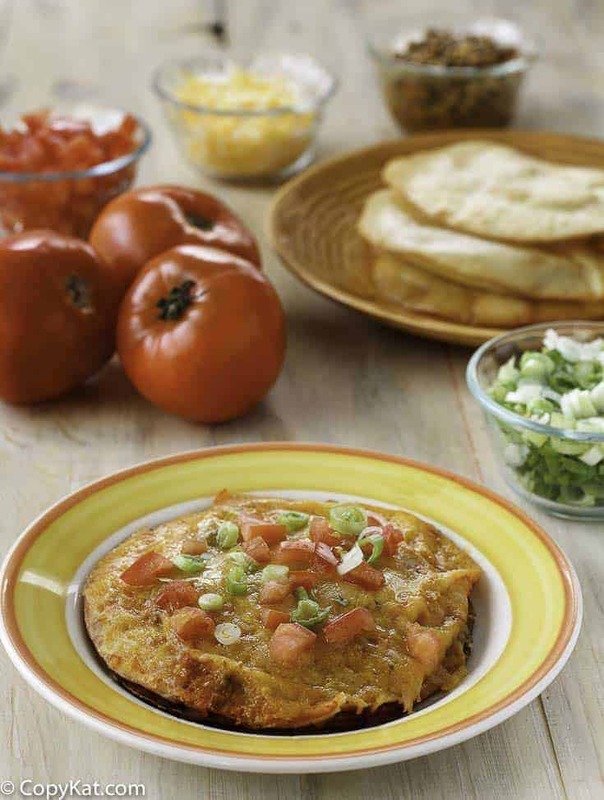 i use only cheddar, but i add cilantro…talk about n xtra layer o flavor, its an amazing addition!! also, i add my sauce to the actual beef mixture in addition to on the top and a dollop of sour cream! experiment with the original and make of your own!! im in love w this site! every recipe i have tried has been spot on! The recipe looks and sounds good. Hey one thing the taco bell Mexican pizza does not have a flour tortilla, it is a corn tortilla and also it’s not a 12 inch tortilla its a 6 inch corn tortilla!! The recipe states 12 6″ flour tortillas, ya goof! And Taco Bell uses a flour tortilla for their Mexican Pizzas. Taco Bell uses flour tortillas for their Mexican Pizza. Flour tortillas are what they use.